The Pixelate module will reduce the apparent resolution of the current image by replacing a specified window size block of pixels with their average value. 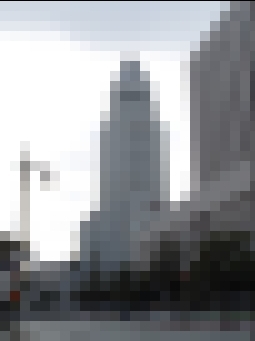 As all pixels in a block get replaced with the average value the effective resolution of the image decreases to mimic how images look when zoomed to a very high magnification. This module is useful when you want to reduce the amount of detail information into a more grid like structure. 2. Method - specify the type of sampling method to use when pixelating the image.